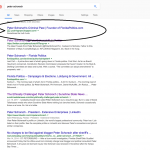 Peter Schorsch's New Problem - Mark Miewurd's HelloFLA! The problem with screwing over customers that have money is that they can fight back…. 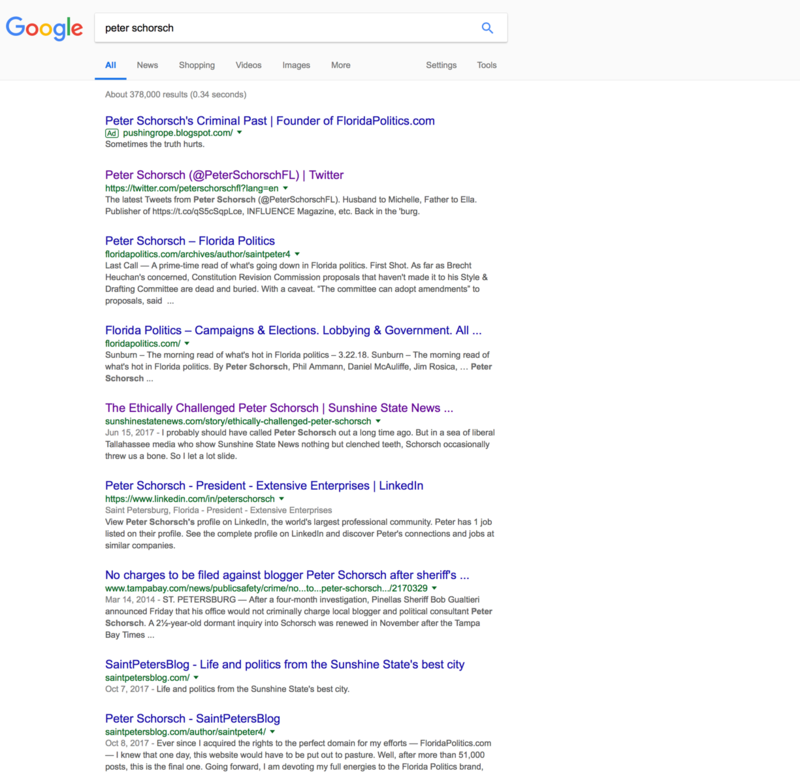 Today I got a tip that the perennially-troubled, integrity-free publisher of Floridapolitics.com, Peter Schorsch, was getting roasted by the Google gods. See the picture….and don’t hesitate to post your own stories about getting gored by Peter in the comments below!